We have a limited resource – it is called money. There are a lot of places to spend it and we have to be aware that there are individuals and businesses that thrive on our consumer ignorance. Hopefully, some of the following will assist you as a consumer in becoming more aware of possible schemes, scams and other ways people will try to get your hard-earned money. Sign new credit cards as soon as they arrive. 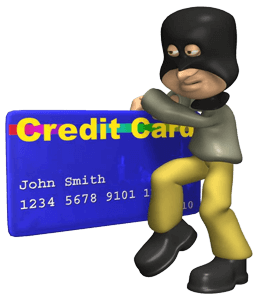 Call credit bureau to report identity theft. No one can guarantee a return on your investment. Make sure you understand the risks before investing. Buy property only after you have seen it. Never assume improvements and services are part of the purchase. The illegal practice of changing a consumer’s telephone service, either local or long distance to a different carrier. Check your phone bill each month. Make sure your carrier has not changed without your consent. Make sure you are paying the rates you have agreed to. If it sounds too good to be true, it probably is. If it were that easy everyone would be doing it. Don’t trust your health to a salesperson. Be wary of exaggerated claims and “miracle” cures. Check with your doctor before buying any type of miracle cure. Prize offers should not ask for any kind of payment. If you don’t remember entering, you probably didn’t. Do not give out bank account numbers to secure a prize. Be careful if you have to send money to learn more. They promise minimum investment and big paychecks. If it were that easy, why isn’t everyone doing it? Credit repair clinics say they can remove derogatory info from a credit bureau file for a fee as high as $2,000. These places use time limit provisions of the Fair Credit Reporting Act to challenge info in credit bureau files. They can’t do anything you can’t do yourself. Review your credit report annually to check for errors.